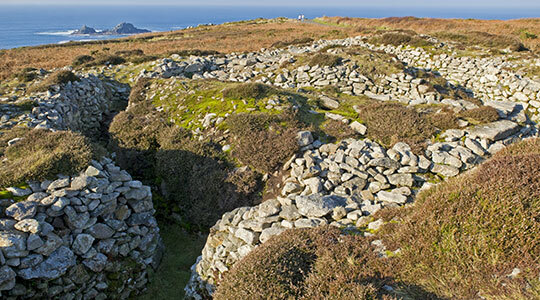 Located on the beautiful West Penwith coastline, Ballowall Barrow is one of the largest and most complex prehistoric funerary monuments in this area. 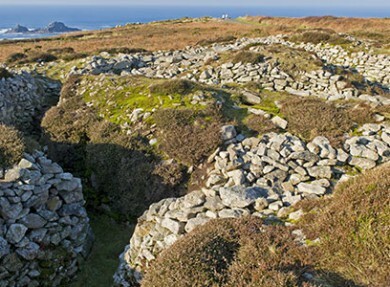 A fascinating Cornish landmark to visit - sites such as this are believed to have been created by local communities who would position them in dramatic locations, building them as striking shrines or tombs for the dead. Hidden by debris from the local tim mines for many years, Ballowall Barrow was finally discovered in 1878 by WC Borlase. With no cost for admission, the site is open to visit at any reasonable time during daylight hours. The history behind the site; having been used at several phases from the Neolithic to the Bronze Age. The surrounding scenery – it’s fantastic! A remote part of the county that is well worth exploring.